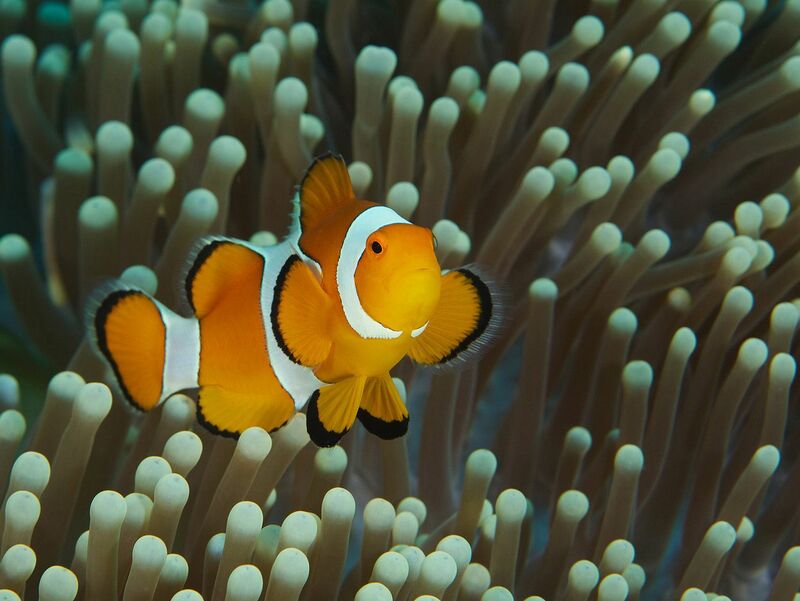 Bright orange with three distinctive white bars, clown anemonefish are among the most recognizable of all reef-dwellers. They reach about 11 centimeters (4.3 inches) in length, and are named for the multicolored sea anemone in which they make their homes. Clownfish perform an elaborate dance with an anemone before taking up residence, gently touching its tentacles with different parts of their bodies until they are acclimated with the host.